Hope they will make a smaller P07. I really like the little Kriss SPhinx sub alpha, but they are not making now as they are having trouble finding parts manufacturer. Would really like to see both a sub P07 that takes its standard mags and a slim single stack. There was a mention of a single stack sub from an “unnamed European / USA company” posted on a Guns,holsters,gear Shot Show Rumor,, but apparently they did not show it yet. A small Beretta APX was recently leaked too. Would love something from the CZ guys. Mike Panonne hinted too at something new he shot an awesome group with hinting “PSA” save your money guys your gonna want this!! That was from a Carry guard range session I believe. I'd be very interested in that. I carry my P-07 most days and for its size, I find it to be a pretty easy gun to conceal. But there are times when a smaller version (80%?) would be really nice. 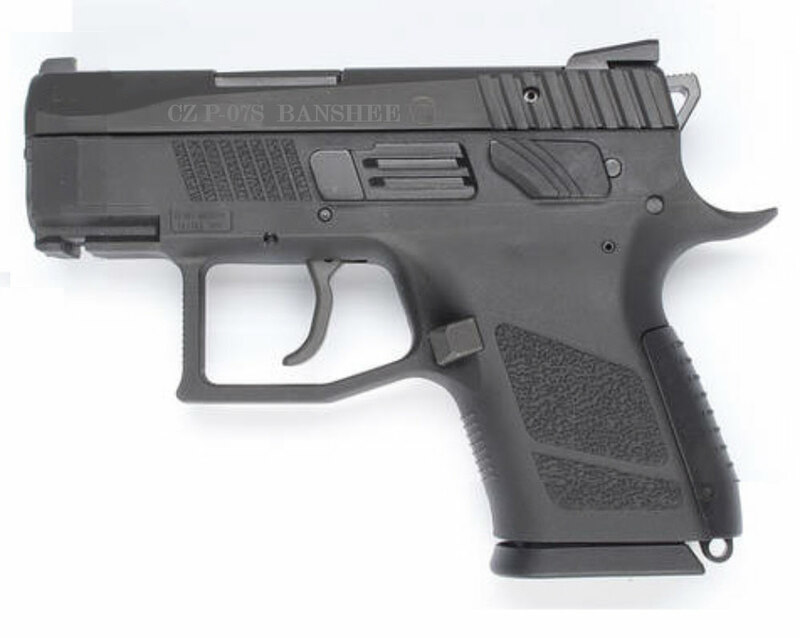 It will be interesting to see where CZ takes the P07 design now that they can build guns in the US. With a Czech only factory, they seemed to focus on stuff that could sell to large agencies mostly. I’m hoping that the US factory gives them the capacity to get a bit more adventurous with the designs. That said, one of the things that has made CZ what it is, is the singular focus on doing really well with a smaller number of platforms. While I’d love to see them branch out, I would not accept that if it came at the cost of quality. I like that they focused on one P10 variant for the initial two years and only when it had some serious use, did they branch out into full and sub sized guns. That is pretty cool, I would hope something about G43x size, just enough for a real grip, thinner with decent capacity. I would bet they could basically make a P07 the size of Kriss Sphinx sub.